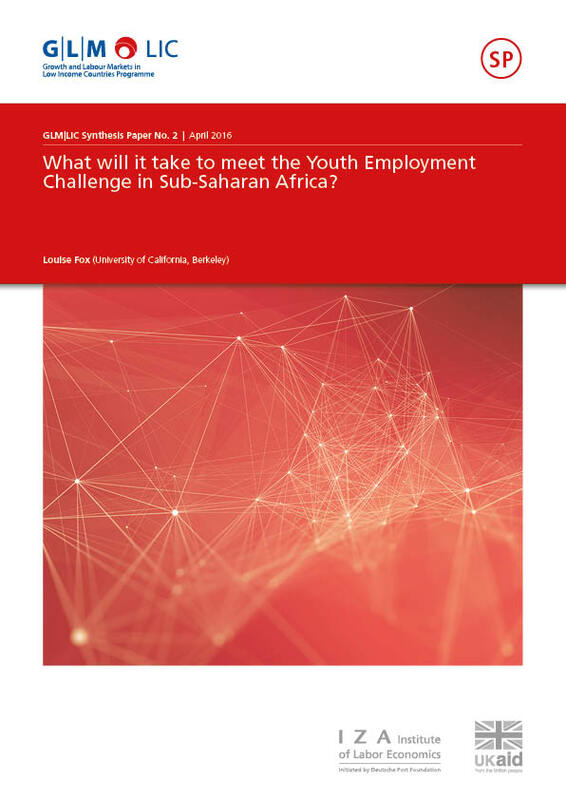 What will it take to meet the Youth Employment Challenge in Sub‐Saharan Africa? African demographics, economic structure, politics and globalization trends combine into a perfect storm for Africa’s policy makers. The large cohort of youth entering Africa’s labor force is the best educated one the continent has seen, and Africa is witnessing its best growth performance in decades; yet jobs remain elusive in the formal wage sector. This is largely because African economies have failed to transform structurally from low productivity agriculture to higher productivity non‐agricultural sectors and this, together with high fertility, has resulted in the structure of employment not changing much over time. The trends driving the employment challenge are not expected to change much over the next 20 years; informal sector is and will remain a major employer of youth, particularly the less skilled and less educated. A shift in policy thinking across Africa. It is imperative that policy makers make concerted efforts to raise productivity (and thus earnings) in the informal sector through targeted infrastructure and financial inclusion policies, rather than focusing exclusively on the formal wage sector. Programs need to stop training youth for jobs which do not exist and are unlikely to exist in the future, and instead help youth develop the business and financial skills and networks to establish themselves in the informal sector, both while they are in school and after they leave. This includes reorienting youth’s own expectations toward how to make their own livelihood from the opportunities which exist.